The Marie Little Shield, an annual national netball championship for women with an intellectual disability, is taking place this weekend at the Brisbane Entertainment Centre. The finals of the competition, named after disability netball pioneer Marie Little OAM, will be showcased ahead of the opening match of the Constellation Cup between the Samsung Diamonds and the New Zealand Silver Ferns on Sunday 7 October. Introduced in 2013, the event recognises Marie Little OAM’s dedication to improving the lives of people with an intellectual disability through the power of netball and is an event proudly supported by Netball Australia’s Community and Social Inclusion Partner, Australia Post. Representative teams from Victoria, New South Wales, Northern Territory, Western Australia, Queensland and South Australia are taking part in this weekend’s competition, which is expected to be fiercely-contested with NSW aiming for a fourth consecutive tournament win. 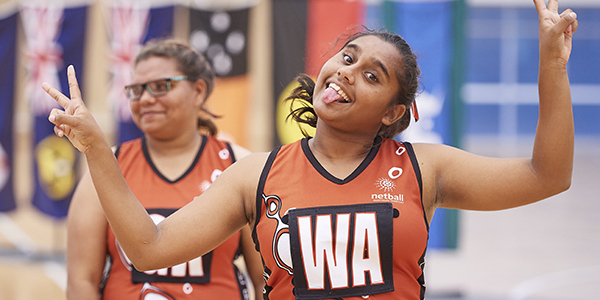 Australia Post has partnered with Netball Australia since 2014 to deliver the Australia Post One Netball Program which aims to engage Australia’s increasingly diverse communities with the sport of netball. Australia Post spokesperson Andrea Pearman said the Marie Little Shield has become an annual fixture of the Australia Post One Netball calendar which features year-round initiatives focused on inclusion and diversity in netball at all levels. “Australia Post has proudly supported the Marie Little Shield for four years. It continues to provide an important platform to showcase and profile sportswomen with an intellectual disability at a national level,” Ms Pearman said. Netball Australia CEO Marne Fechner says the organisation is proud to host the Marie Little Shield each year and that it is looking forward to showcasing the passion, dedication and commitment of the athletes taking part this weekend. “The Marie Little Shield is a tremendous annual event and we’re thrilled to hold a competition that provides individuals with intellectual disabilities with the opportunity to play netball at a national level,” she said. The Samsung Diamonds team will attend and spectate the Marie Little Shield tournament on Saturday 6 October before the Marie Little Shield finals are played as a curtain-raiser for the first match of the Constellation Cup. Tickets for this match are still on sale at ticketek.com.au. To meet the One Netball Ambassadors and learn how your club or association can create a more inclusive environment for all, find out how you can begin your inclusion journey here.